I'm very excited to share with you an experimental project I've been working on: a redesign of the Visit Herefordshire website. Please note, this is a personal project done off my own back just for a bit of fun! It's something I've been doing in my spare time between projects as a hobby, whilst trying to challenge myself in trying out new ideas. I've written up this blog post to try and document my process, thoughts and general approaches when tackling website redesigns. I wanted to overhaul the current website architecture, giving the user a brief overview of what the site is, what it's about and what it contains. I didn't want to limit myself by being constrained to using the current content as a model, so I decided to chop and change what was there. Keeping important elements whilst trying to clean up the user interface was a big priority of mine, whilst trying to introduce an expansive all new design. The current site goes straight into a big bulk of text and in my opinion doesn't guide users to what they want to find. It featured some dated infographics, and other elements which I deemed secondary to what the homepage actually needed. 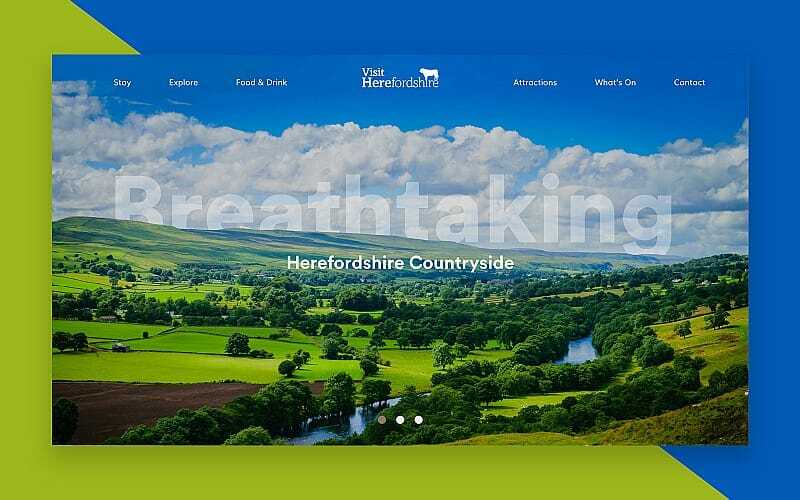 I prioritised elements that I felt were more deserving of a homepage space, so users could jump right into learning about Herefordshire and what it has to offer. The redesign on the right gives users a bold and memorable introduction, as well as a clearer, cleaner navigation for users to get to what they want to, whilst maintaining this expansive and fluid design. The Herefordshire countryside is expansive, breathtaking and unique and I really couldn't understand why the current site didn't showcase the imagery in a more immersive and fluid way. I wanted to go beyond a standard grid layout and introduce a quirky layout that engaged the user, and gave the site personality. This was purely an expermental project in my spare time. It was designed using Adobe XD. You can view a mockup of the homepage by clicking the button below. Feel free to Tweet me about your thoughts and ideas, I'm always active on Twitter, @ryangittings. Are you a Hereford based business? 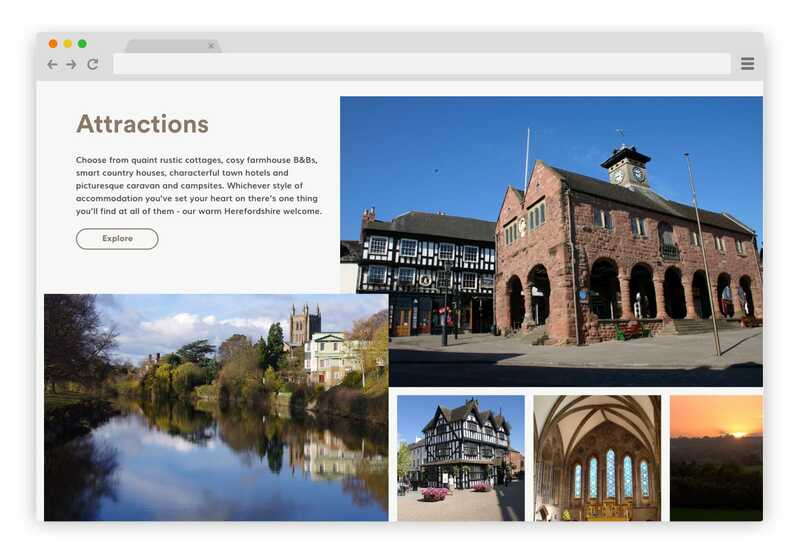 Read more about my web design Hereford services.